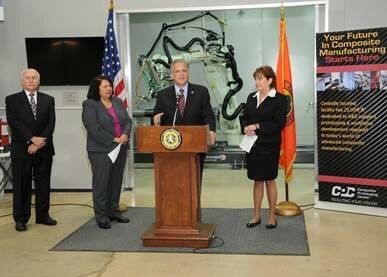 Nassau County Executive Edward P. Mangano, along with the Center for Science Teaching and Learning (CSTL), the Long Island Forum for Technology (LIFT) and the Composite Prototyping Center (CPC) today announce plans to train 100 Nassau County young people with the skills required by today’s composite manufacturers and to assist them in finding employment opportunities. CSTL recently received a $440,000 grant from the Toyota USA Foundation for this unique initiative in which private industry is helping advance manufacturing skills. Read More.